A Missouri House committee has dealt a setback to Gov. 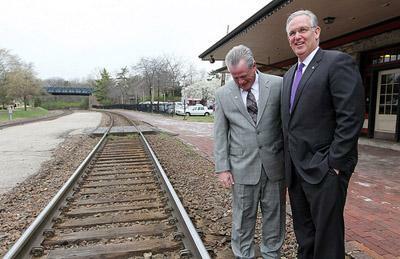 Jay Nixon's quest for $1 billion in federal high-speed rail money. The House Budget Committee rejected an attempt Wednesday to insert the rail money into a state budget bill. That comes just two weeks after Nixon held a news conference to announce Missouri was applying for $1 billion of the $2.4 billion of federal rail money that Florida decided not to use. Republican lawmakers expressed concern that even if Missouri were to get the federal money, it would fund only design and land acquisition for a new route between St. Louis and Kansas City - not construction or operation costs. 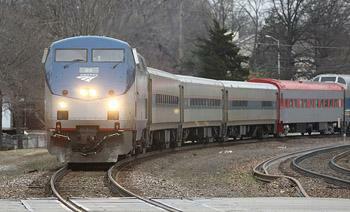 Nixon's administration said Wednesday that it will continue with the application for the rail money. Missouri is one of a handful of states applying for some $2.4 billion in federal funding for high-speed rail projects that Florida rejected last month. Governor Jay Nixon was in Kirkwood today to announce Missouri's application for nearly $1 billion in new funding. 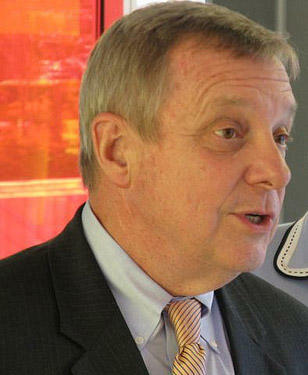 In recent months, rail projects have become politicized with many GOP lawmakers calling for states to refuse the funds. Illinois is set to get millions of dollars for high-speed rail projects that were supposed to go to two other states. But that news may not be as good as it sounds.